Yesterday, the world held its collective breath in disbelief as flames engulfed Notre-Dame, Paris’s and the world’s gothic landmark. An accident related to renovations seems to have started a fire. 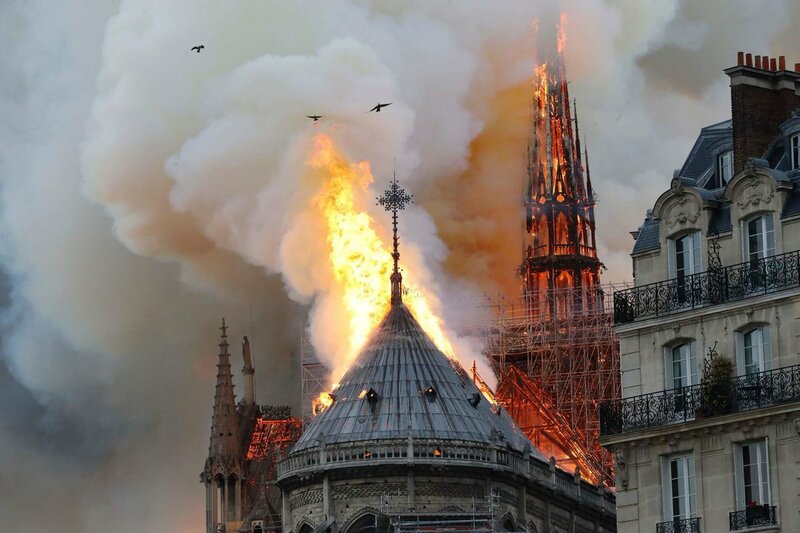 The blaze quickly spread across the roof and claimed the famous spire. It is some relief that much of the exterior of the cathedral survived, including the iconic bell towers. Fortunately, rose windows, gargoyles and other relics escaped the fire, as the workers had dismounted them prior to the renovations. President Macron has vowed to rebuild the cathedral. That just might be doable now that the French billionaires François-Henri Pinault and Bernard Arnault pledged the total of €300 million towards the restoration of Notre-Dame. In addition to money, the reconstruction of the cathedral will require detailed 3D maps. Luckily, there is no shortage of 3D mapping data. We are to thank the art historian Andrew Tallon for this. He used laser scanning in 2015 to create the precise model of the cathedral encompassing 1 billion points of data. Amazingly, this is not the only reference that the engineers can count on. 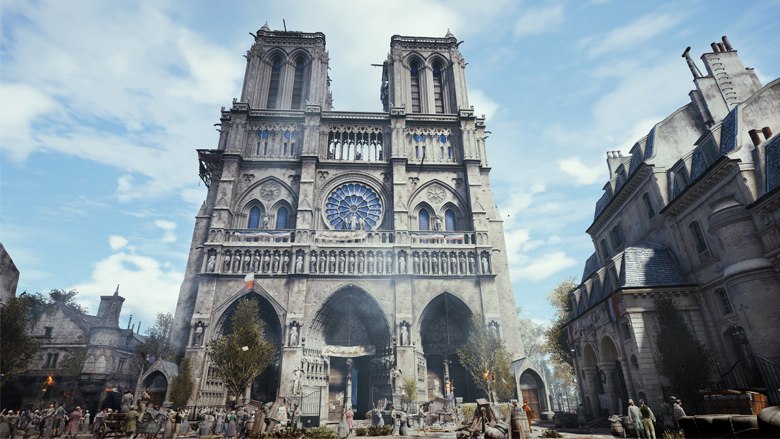 Another precise digital recreation of Notre-Dame comes from an even unlikelier source: Assassin’s Creed: Unity. The game is set in Paris during the French Revolution. Even though Assassin’s Creed: Unity received mixed reviews upon release, we now have another reason to appreciate the game’s historical authenticity.